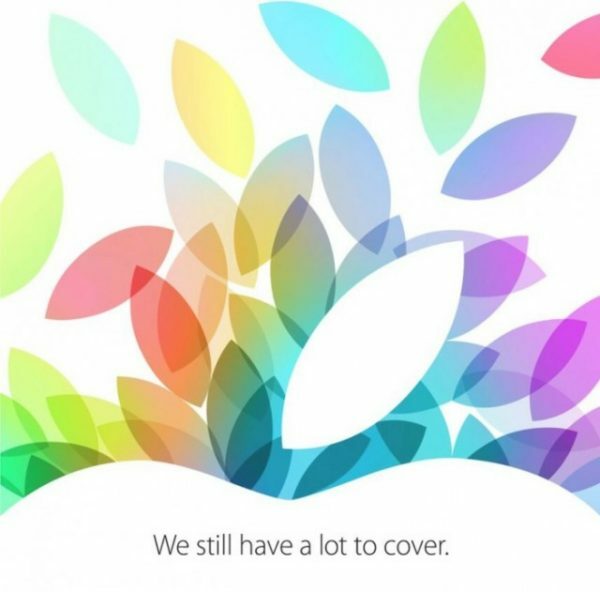 Apple this evening held their October keynote, and here is a quick run down of everything they announced. Typically Apple announce their new iPad range, and a few other refreshes to their Mac lineup at this event, and this year there weren’t any big surprises. 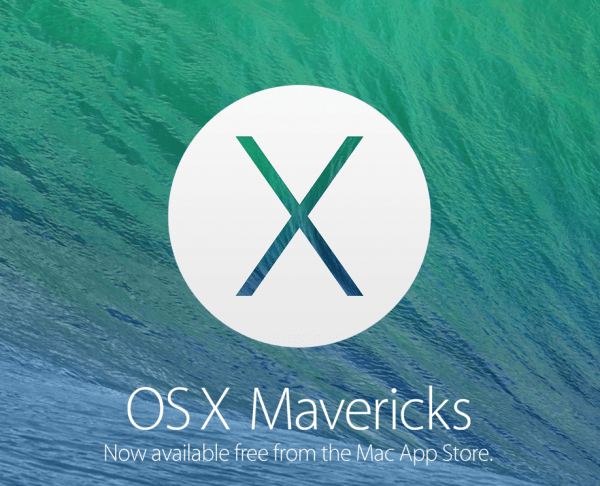 Apple announced that Mavericks, their new version of the OS X operating system, will be available as a free update via the App Store from later today. MacBook Pros with Retina displays today got updated today to include Intel’s Haswell chips. The big improvement that this brings is in battery life. The 13″ model reportedly getting up to 9 hours, and the 15″ model achieving up to 8 hours of battery life. Further good news is that Apple have dropped the price of both of these models compared to its predecessor. The 13″ MacBook Pro with Retina display starts from £1099, and the 15″ version starts from £1699. All available from today. 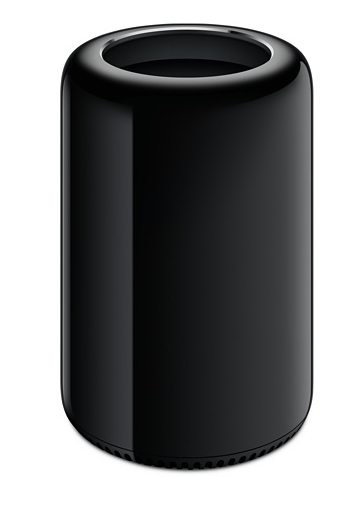 Apple announced that the new Mac Pro that they announced earlier in the year will be available in December. They will come with a hefty price tag attached, but will be impressive powerhouses that Apple is claiming will be the computer you will have for the next 10 years. Quad-core and Dual GPU starts from £2,499, and Six-core and Dual GPU will start from £3,299. Apple announced new versions of their iLife Suite today (iPhoto, iMovie and GarageBand). The new version of the apps provide a fresher design, upgraded performance (now 64-bit), and also some neat new features in each of the apps too. The apps are all available from today, and a free with a new Mac or iOS device purchase. In a similar move to their updated iLife suite, Apple have new versions of their iWork suite too (Pages, Numbers and Keynote). The iOS apps have a new fresher design, and the desktop Mac apps have been completely re-written. In addition, collaboration is now possible through iWork for iCloud. As with iLife, the apps will be free with a new Mac or iOS device purchase. The new version of the iPad was announced today, as expected. The new version is so thin and light that Apple have decided to give it a whole new name – the iPad Air. The design is similar to the iPad mini, with thinner side bezels. 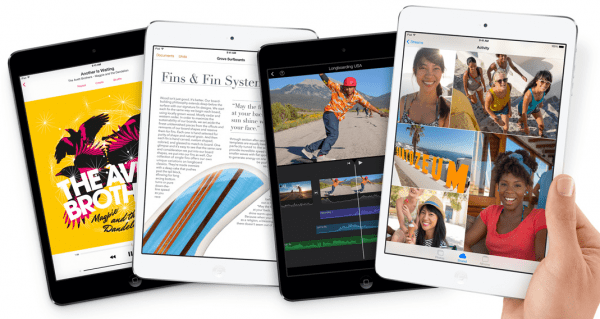 The iPad Air has the 9.7″ retina screen, packs the new A7 processor found in the new iPhone 5s, and also has a slew of other improvements that make this the fastest and most powerful iPad to date (including MIMO which will let you enjoy much faster WiFi). The iPad Air will ship from 1 November to the UK (along with other countries including US, China and Japan), and will come in a choice of silver and white or space grey and black. WiFi only models start from £399 for the 16 GB version and WiFi + Cellular starts from £499 for 16GB. Sadly, there is no sign of the new TouchID sensor that made its debut on the iPhone 5s. This is disappointing and also somewhat surprising considering the inclusion of the A7 processor. Along with the new iPad Air, a new iPad mini was announced today. Finally the iPad mini will come with the Retina display that we have all been coveting since the iPad mini was first announced. In addition, it will also pack the new A7 processor, an improved iSight camera, and new improved FaceTime HD camera on the front, the same impressive 10 hour battery life. The iPad mini with Retina display will be available sometime in November (Apple were rather vague about exactly when), and will be available in the same colour options and storage sizes as the iPad Air. WiFi only starts from £319 and WiFi + Cellular starts from £419. Sadly, again no TouchID sensor included here. However, some good news is that Apple are going to drop the price of the regular iPad mini to just £249 for 16GB (WiFi only), and £349 for 16GB (WiFi + Cellular). That was pretty much it. We will try to expand a bit more on the new additions in separate posts over the coming days when more information comes out and when we have managed to gauge the public opinion on the announcements. In the meantime – why not let us know what you think in the comments below. Are you particularly happy or disappointed by any of the announcements? Are you going to get any of the new releases, and if so, what are you going to get? We want to hear from you!